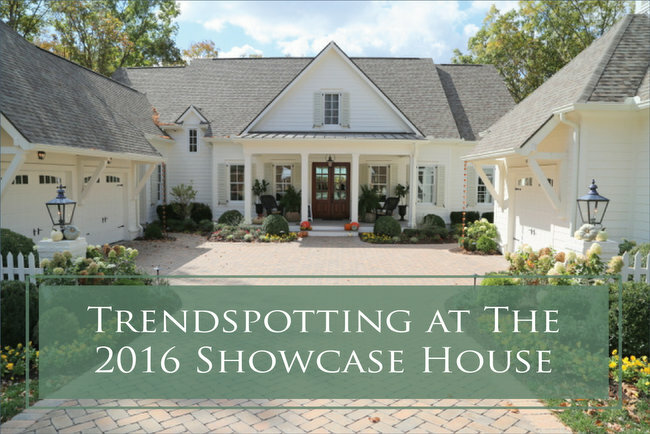 Last week I was invited to the NKBA (National Kitchen and Bath Association) meeting about 2017 Kitchen Trends, sponsored by Procraft Cabinetry, Caesarstone, and Richelieu. 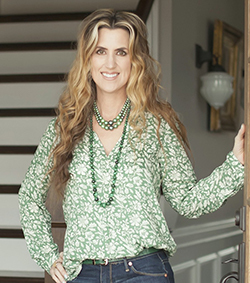 I took notes like crazy so that I could share some of what I’ve learned with you – now you can make the best choices in your kitchen renovations! 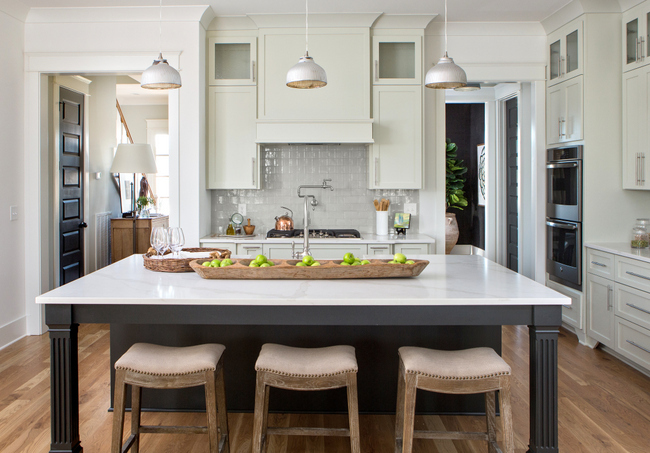 While transitional is the most popular style of kitchens, contemporary currently comes in second place. 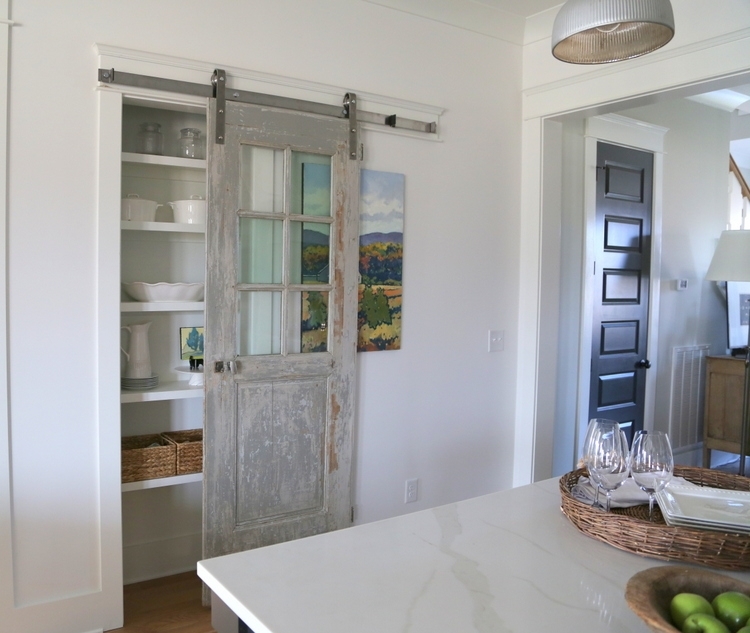 Mid-century modern looks, as well as aluminum doors with glass inserts are trending. 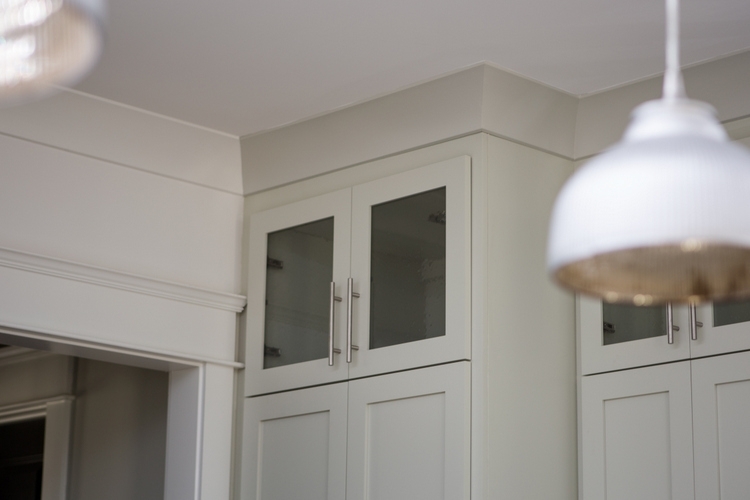 Metal cabinets are showing up, particularly with the younger demographic and for males. Tambour doors and aluminum frame doors are becoming more popular. 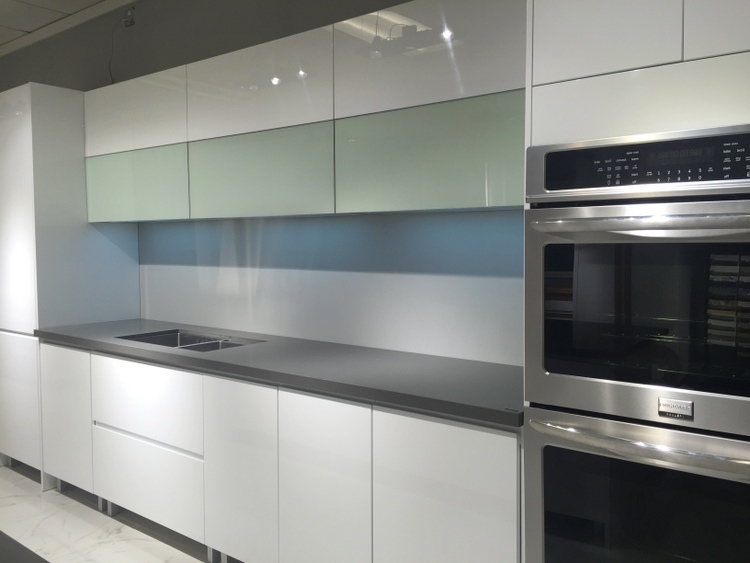 High gloss cabinets and black cabinets are emerging within this style, as well as smoked glass doors. 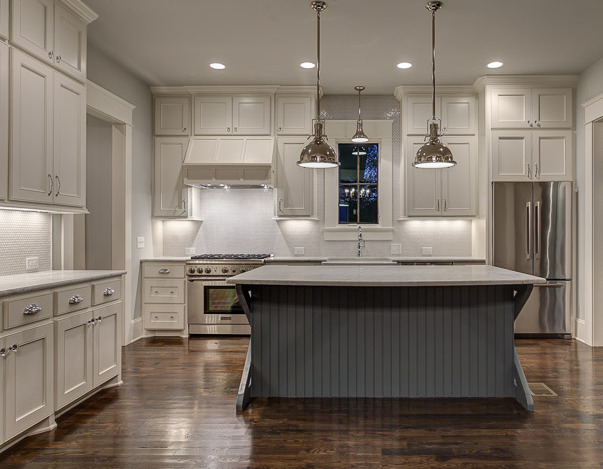 Other kitchen trends include inlaid butcher blocks in countertops and furniture detailing such as footed cabinets and furniture-like islands. And speaking of islands, the kitchen island just keeps getting bigger! Double and triple islands, sometimes even in different colors, are gaining popularity. To avoid seams in jumbo-sized island countertops, you’ll have to get larger slabs than what we’re used to seeing. 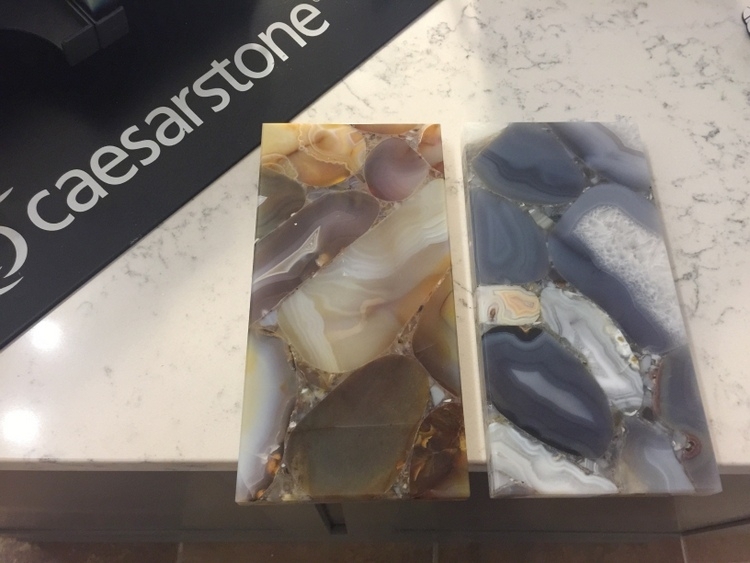 We spoke to a rep from Smokey Mountain Tops, and she told us that they can get jumbo quartz slabs that are 132 inches by 65 inches to avoid seams! 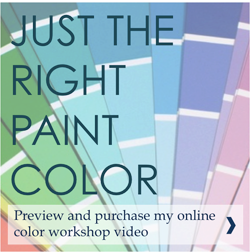 Of course, it’s going to cost you a bit more, but the result will be much more sophisticated. 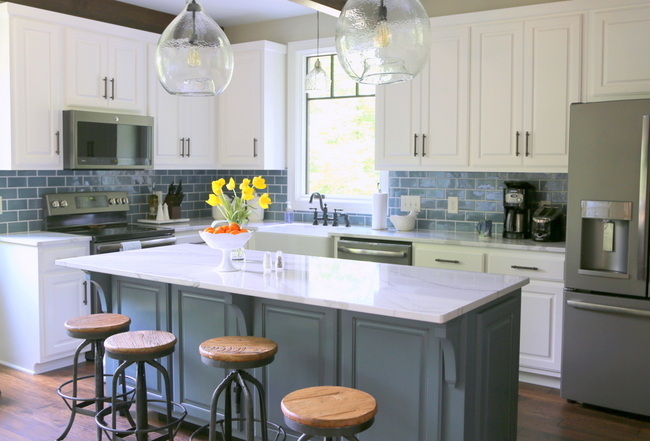 Islands that are a different color and/or finish than the cabinets are still mainstream. While stainless steel appliances are still the most popular, black stainless is trending upwards. It’s a matte finish, so you’ll have much less trouble with fingerprints that you do with typical stainless steel. Appliances hidden behind cabinetry panels help keep kitchens from looking too choppy and are the choice for many high-end kitchen designs. Subway tiles are still going strong. However, 2017 kitchen trends will feature more textured, handmade versions, as well as different colors and sizes of tiles. Geometric tiles are also trending, like honeycomb and penny tiles for backsplashes. Encaustic tiles (or less expensive ceramic versions) are gonna be BIG, y’all. Here’s a in-process photo of a long distance design client I’ve been working with for a while on her home’s paint colors and kitchen design. The rep from Richelieu reported hardware trending towards champagne bronze (which leans toward gold), copper, matte black, and polished chrome. We are also going to see some beefier pulls. Mixing metals is encouraged! 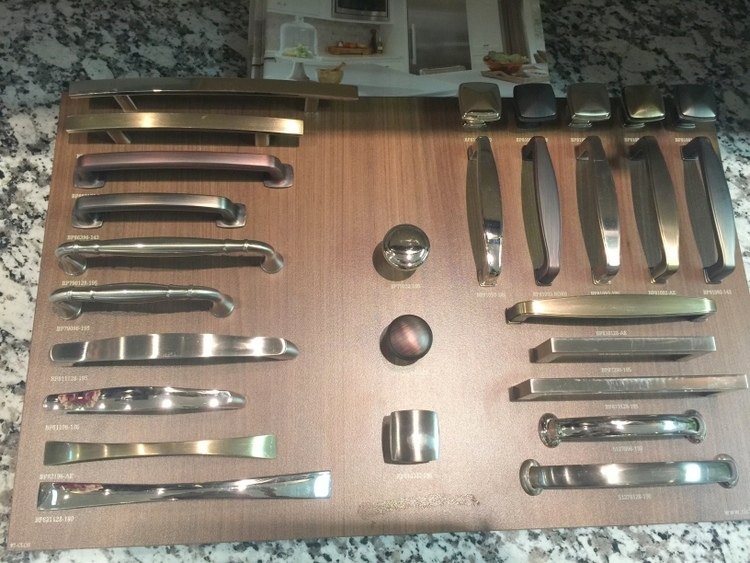 In fact, using a single metal in a kitchen looks pretty un-designed at this point. You’ll also be seeing iron strapping like a trunk on cabinets and stove range hoods. Bye-bye, granite. 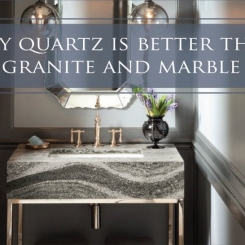 Quartz and quartzite countertops have FINALLY surpassed granite in popularity. With most of these products, no sealing, treatment or maintenance is required. They are scratch-, heat- and stain-resistant. And hygienic! 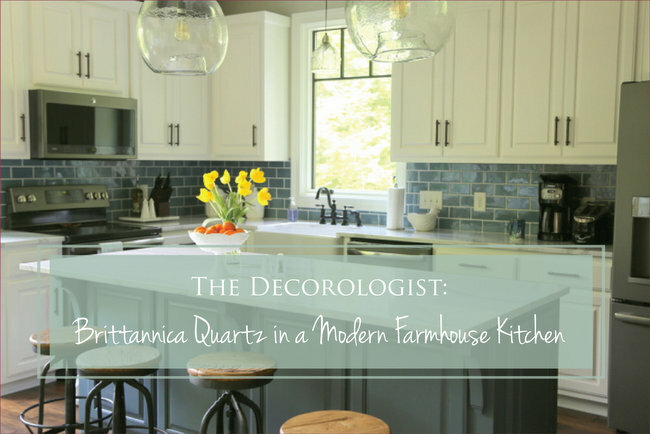 You’ll see the growing popularity of quartz countertops that mimic marble, concrete, and soapstone. 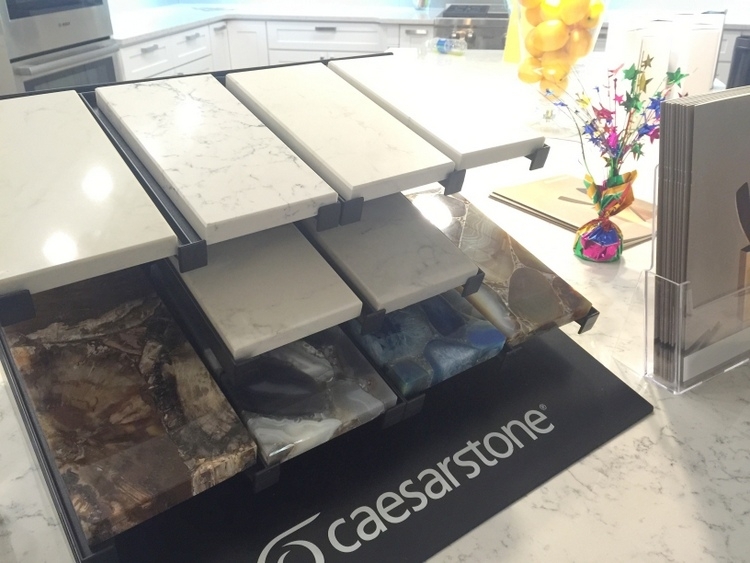 Although I haven’t seen this used YET, I am intrigued by this new Caesarstone offering. Reminds me of my childhood neighbor’s groovy bathroom counter! In a very specific application, this could be very interesting . . . 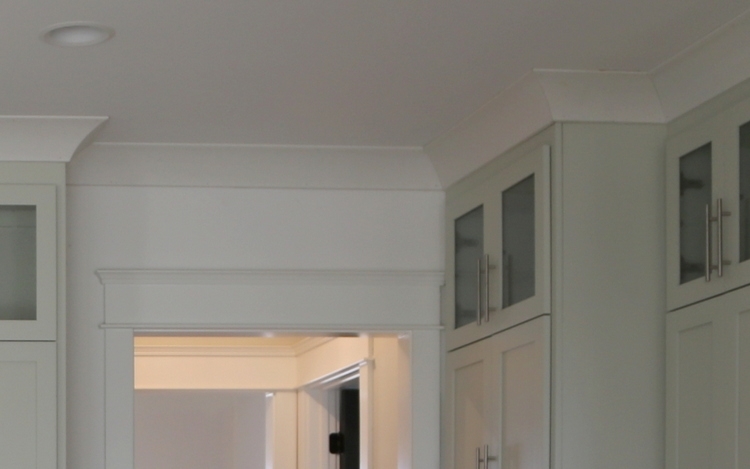 Kitchen ceilings are going taller, so we’re seeing lots of lighting trends, including recessed, hanging lights, and flush mounts in the kitchen. Hanging lights over islands continue to be oversized. 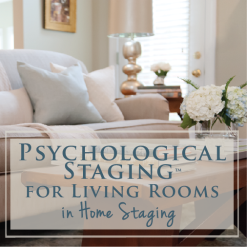 You’re going to see lighting in cabinets, under cabinets, over cabinets, in the toe kick, in the drawers, and in corner cabinets. The great thing about this trend is that it is fairly cheap! A lot of the lighting can now be voice- or motion-activated, making it easier to keep messy hands off of the light switch. Even faucet lighting is a thing! Here’s a tip: if you have a gray backsplash (especially if it’s shiny or glass tile), be sure to use cool lighting underneath your cabinets. A gray backsplash with warm lighting on it can turn it PINK, which is probably not what you’re going for! 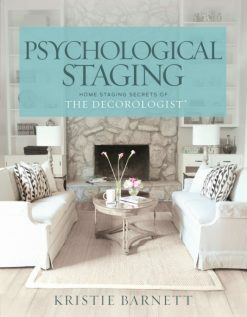 The Huffington Post reports that cabinet organization is a major source of stress for homeowners. I concur! We’re going to be seeing a lot more lower cabinets with drawers. 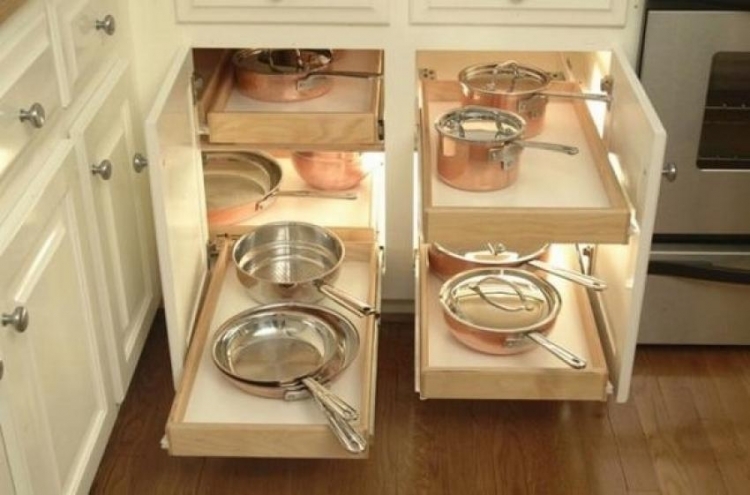 It’s just a lot more efficient to store items in drawers, since it is easier to get to the back of them. 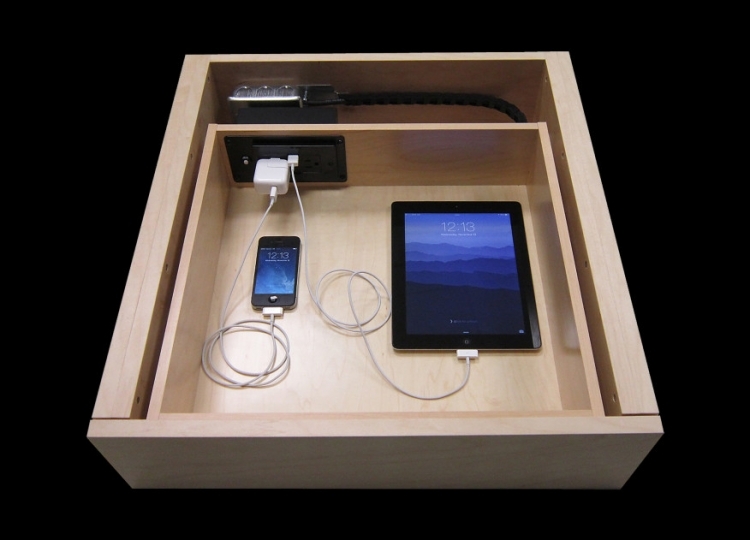 You’re going to see longer, wider, linear drawers to hold your items. 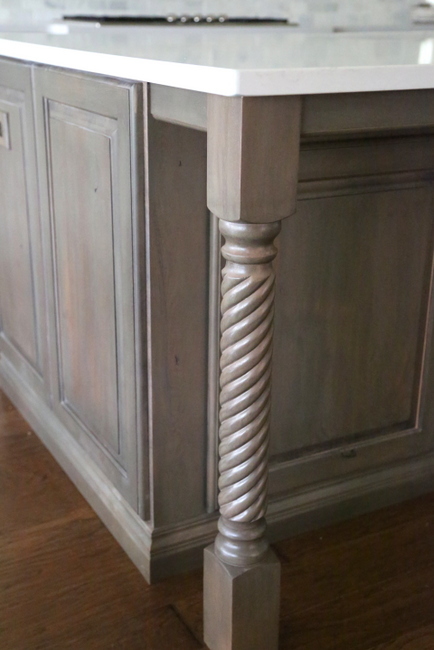 Transforming furniture is an exciting trend in kitchens. How about an island that transforms into a kitchen table? Or step stools integrated into lower drawer panels that camouflage larger appliances? 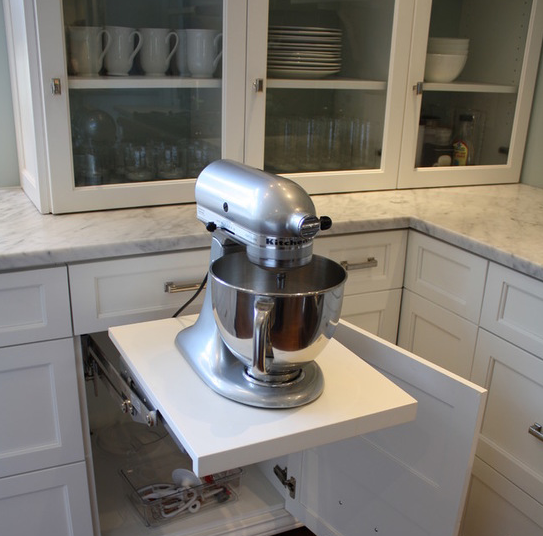 Mixer lifts will be more common behind closed doors, but don’t think that those lifts are only for mixers – they can hold your Keurig or heavy appliances, as well. Unfortunately, your darling colorful KitchenAid mixer would be hidden from sight. Technological advances are happening in the kitchen as well. Docking stations and internet-ready appliances are becoming part of the landscape of new kitchens. 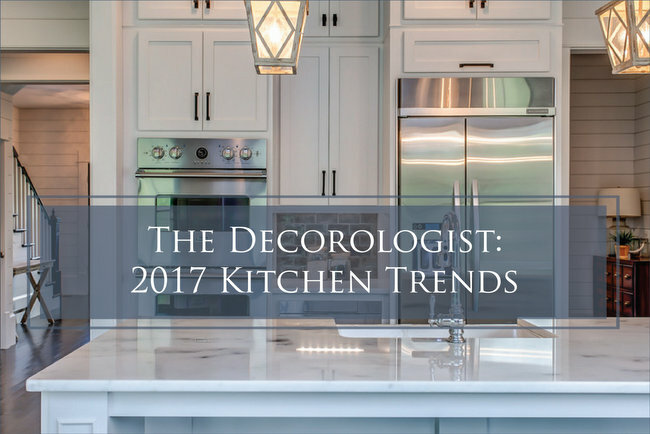 Now tell me, what are your favorite 2017 kitchen trends? And did I miss anything? This entry was posted in Decor Addiction and tagged 2017 kitchen trends, caesarstone, countertops, kitchen, kitchen design, Kitchen Designs, kitchen hardware, kitchen remodeling, nkba, popular kitchen design, procraft, quartz, richelieu, the decorologist, trends. You saved the best for last. Hidden technology chargers! My parents are remodeling their kitchen. I’m sending my mom a screen shot right now! The difference is that the 70s stuff was a cheap imitation of encaustic tile. Did you know that “substitute” subway tile used to be faked with a stencil-type press into wet plaster in kitchens? That was actually done in my own kitchen in the 1940s! If you haven’t seen encaustic tile in person, it is simply beautiful. Oh my goodness, Kathy, thank you so much for sharing this very interesting information!!! I am going to go dig into it now!!!! Oh I’m not selling anytime soon – this is a vacation home now but I will retire there someday. The backsplash is where I decided to indulge in a non-neutral item that I really love. Way easier and cheaper to change if I tire of it than other things are. It’s going to be fabulous, Lisa! I’m not at all worried!!! Hey that’s my kitchen :)! Kristie I picked the encaustic tile on the left – it’s on the way across the ocean now! I can’t wait! Yay – I’m so glad you chose that one. It was definitely my favorite! Can’t wait to see it all come together, Lisa! I think you chose the more elegant of the two Lisa. You’ll not grow tired of that beautiful subtle look! 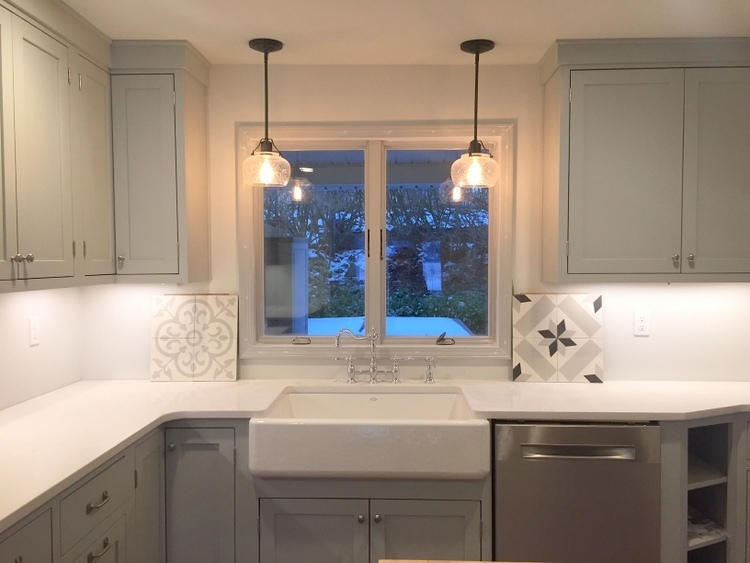 Lisa W–I love your tile choice 🙂 and your kitchen–so pretty! 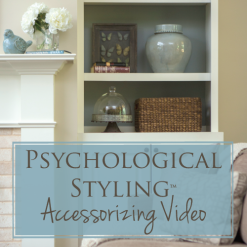 Kristie, the stools in the photo about appliances – can you share where they are from or no? 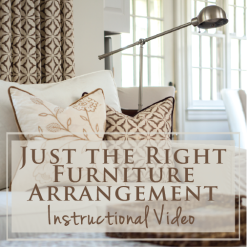 They look like some I saw at Arhaus and have been considering. You mean the ones in the kitchen with blue subway tile? 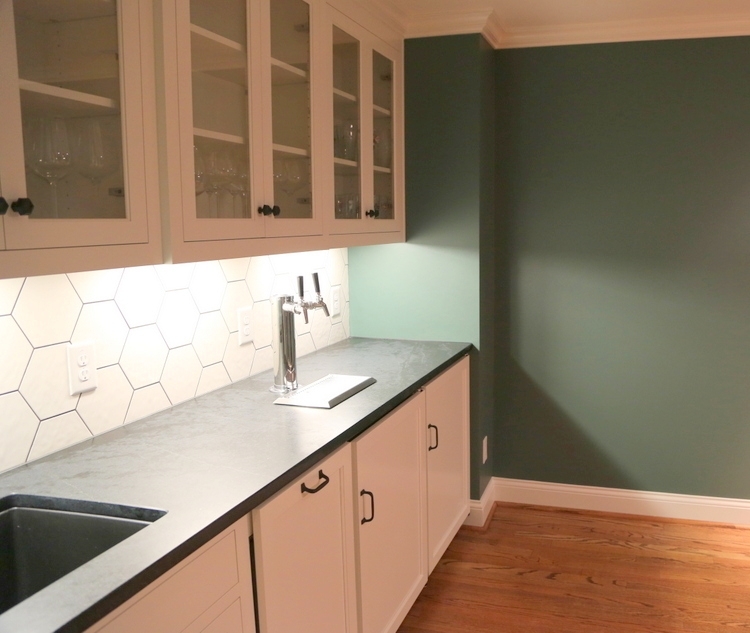 At first , in the kitchen with the blue subway tile, I thought it was too competitive with the counter top,. But when you ( or your photographer, pulled back for a vertical shot including the island, I got it! The religion of color there made perfect sense. You nailed it again, Kristie! Not the ” religion” — crazy auto – correct– the RELATIONSHIP! So glad to see lower drawers coming back. I like the black stainless appliances that you mentioned are trending. I think another neat trend that has to do with appliances is the rise of smart-technology. Some newer appliances can be used with your smartphone or even be automated to work on their own. 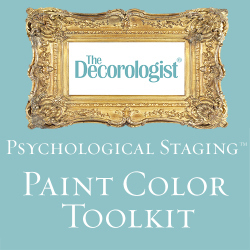 So glad to read to have colorful cabinets back in trend. I always preferred my kitchen cabinets to have more color to just white or of-white. 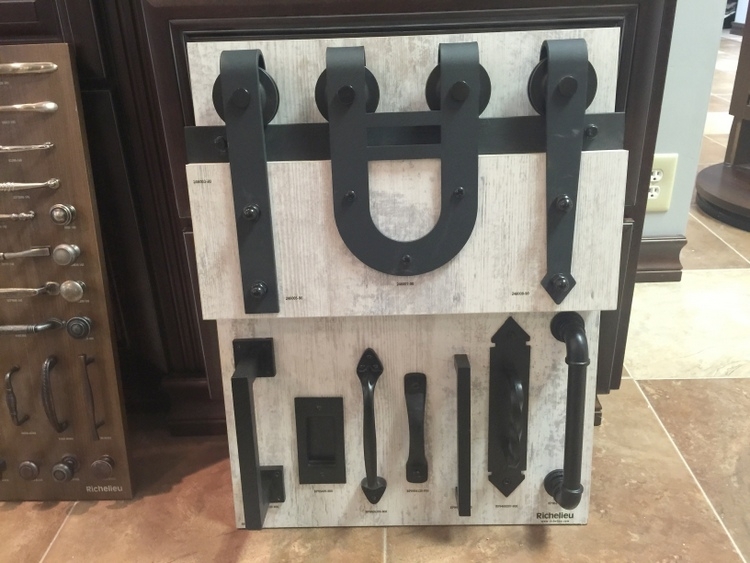 If you’re going for european style kitchen cabinets then I would recommend to go for Acrylic ones(http://www.imaxxexchange.com/product-category/euro-style-cabinets/). 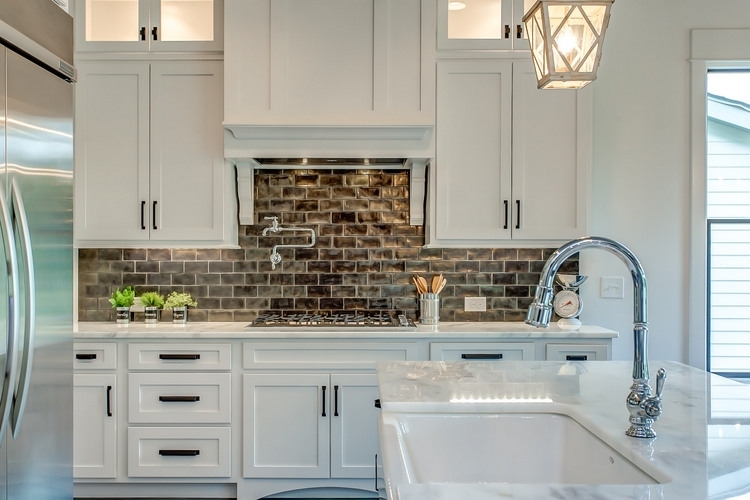 I like the idea of adding subway tiles to kitchen.